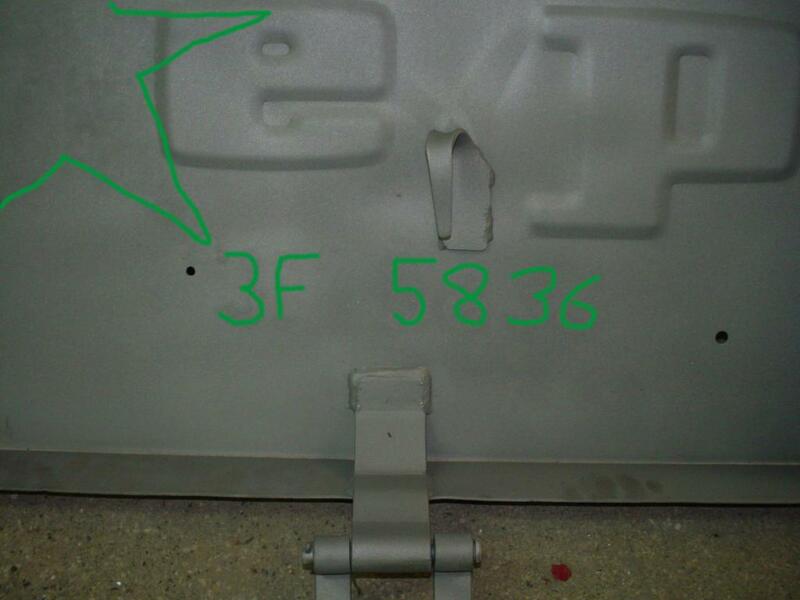 Nice, that was how I found my original registration numbers. 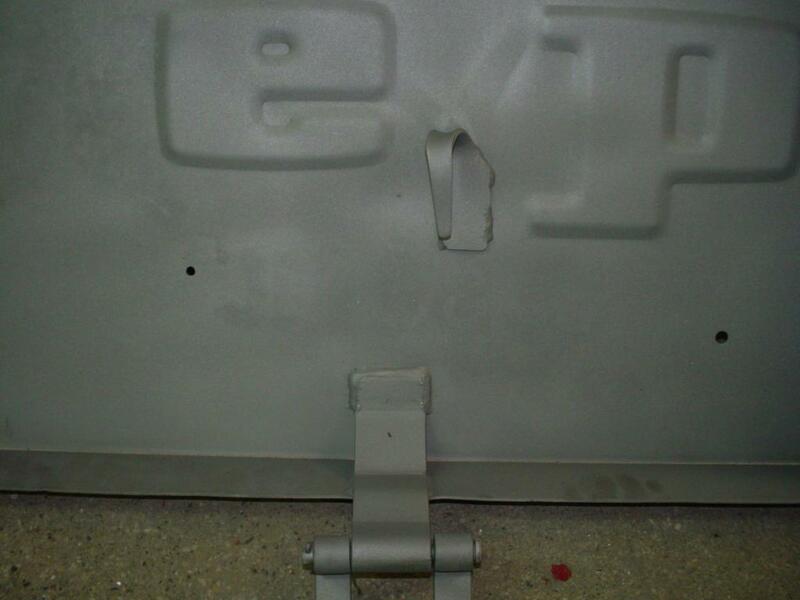 When bead blasted they had left an impression on the tailgate. In the proper light you can clearly read the 3F 5836 and could see the position of the star. For those who have a hard time seeing it in the above pics. 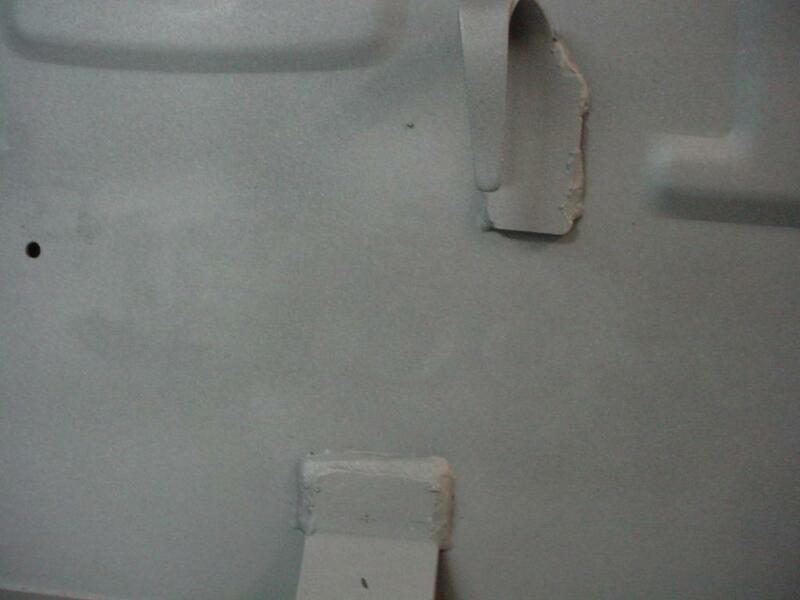 I Replace the pads inside the door "slide rail"
I don't know if there is any more door handle seal available? Last edited by M715Fin; April 3rd, 2019 at 09:11 AM. Wow, that cab is in nice shape. Great, glad it made it to you with no problems. Can't wait to see more pics. Body upside down. Painted difficult places. Dashboard and pedals installed for next painting. Beast. I don't have the same parts on the dashboard??? Last edited by M715Fin; April 11th, 2019 at 09:32 AM. Nope, that is the dash in my M725 Ambulance. The windshield in the ambulance does not fold down and those are the brackets the bolt the windshield of the ambulance body down and the longer ones are air deflectors for the defrost vents. Body painted inside three times, now installing parts. Now I am thinking of driving and parade uniforms. Could someone tell me what kind of markings the uniforms should have. 194th Armored Brigade 2nd Division. 522nd Engineer Company. Does anyone know where to buy the original uniform?